Khloé Kardashian and her big sister Kim Kardashian West are both in incredible shape, but according to KoKo, it takes her a lot more work to get there. The Revenge Body star stopped by The Ellen DeGeneres Show on Monday and told the host about the difference between her workouts and Kim’s. “Kim does work out. She works out all the time, but they’re not intense workouts. 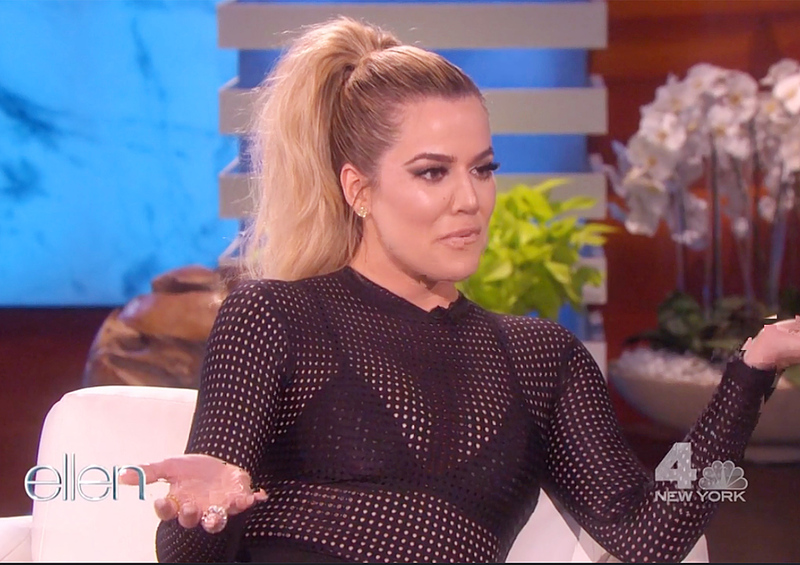 I work out like an animal,” Khloé said and told DeGeneres about a time they planned to workout together in Costa Rica and her big sister overslept. According to Khloé, the difference is in their digestive systems. “My nutritionist said, ‘Your sister has the metabolism of a Ferrari and you have one of a Honda Civic.’ I was like, you just summed up my whole life right there. Kim’s the Ferrari; I’m the Honda,” she joked. It took her dad Robert Kardashian’s death and later her divorce from Lamar Odom for her to recognize a problem in how she handled stress. “I realized from my dad’s death and through my divorce, I always would eat my emotions and that was something I didn’t realize I was doing. I was like, OK, every time I was sad or stressed out, I would eat, eat, eat,” she said. Nowadays, Khloé is happily dating Cleveland Cavaliers player Tristan Thompson, and while she’s eating healthy, she likes to cook him comfort food. “I love to cook. I cook not-healthy meals. I like big, hearty, fun meals, but I love to cook. Every Sunday I try to do something that I’ve never done before. I’ve made homemade jam. I like to make things that I’ve never tried, just to see if I could do it,” she told DeGeneres.